Paradoxes of life, those who need it most, are the least want the protection of creams: it is that children do not want to disturb and entertain them with creams and warnings. 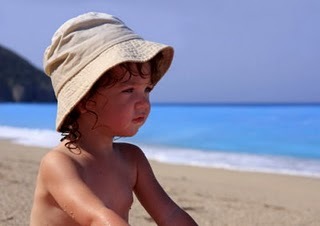 Therefore, one of the most nuisances that parents may face in the days of beach and pool is the sun protection of children. It is more important than it seems: we must remember that its system of formation of melanin and, therefore, protection is not fully formed until age 14, and therefore, each receiving more beam can cause of cancer in the future, because the skin has memory and remember the attacks that occur during childhood. Cream + extra protection. For a truly effective protection also need hats or caps, shirts and pants. The fabric is thicker and wider the brim or visor, the better. Eye with water. Dips diminish protection. 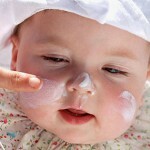 It is therefore important to reapply sunscreen regularly, so children often enter and exit the water constantly. Creams just for them. You have to choose specific creams for children, which contain the greatest possible protection with the least amount of preservatives, filters aggressive or potentially irritating products, as their skin is more sensitive.